There are many different species of earthworms. To some people, earthworms are considered pests, while others may consider earthworms a natural and necessary part of lawns. Whatever the case may be, there are many reasons to remove earthworms from the property, though not all situations are intentional. Earthworms can be both benefical and a nusiance. 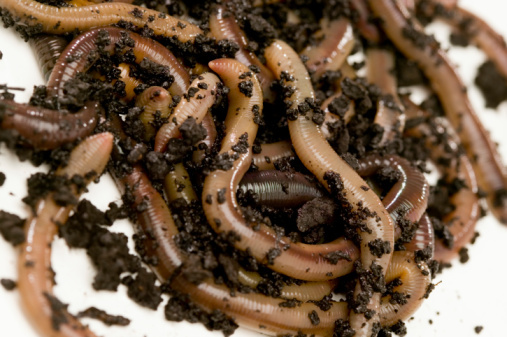 Essentially, earthworms are necessary for breaking down organic matter in the soil. In fact, the feces of the earthworm, called the casts, are richer in nutrients after they pass through the earthworm than the matter was prior to digestion. However, earthworms can also be pests in many ways. Moles eat earthworms, so many earthworms can attract moles to a yard. Earthworms can also create an unappealing appearance in the lawn consisting of tunnels and holes throughout the lawn. In recent years, the Environmental Protection Agency has removed many different insecticides from the market that were reducing earthworm populations. Currently, only one readily available insecticide is known to reduce and kill off earthworm populations. Sevin, a carbayl-based product, is intended for killing off grubs in a lawn but has been found to reduce earthworm populations as well when used at the recommended dosage amounts for grubs. This, however, is an off-label use for Sevin. Other chemicals that are known to be toxic to earthworms include diazinon, Merit (imicdacloprid) and Dursban (chlorpyrifos). Dr. Dave Shetlar of The Ohio State University recommends "using an old-fashioned lawn roller" after it rains, as this is when soil mounds from earthworms are most soft. This helps to deter the earthworms and minimize the appearance of the mounds that they may be creating on the lawn. Certain insecticides that are not necessarily aimed at killing off earthworms may actually do exactly that. According to Dr. Ian Plummer, certain organophosphate-based insecticides can be harmful to earthworms, as are carbamate-based insecticides. Adequate levels of either type could result in unintentional death of earthworms.